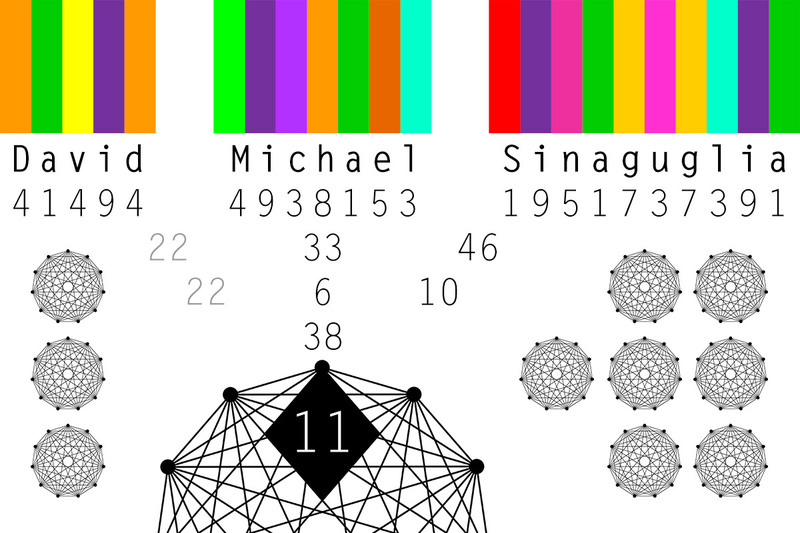 This project brought together crossovers from many of my interests including numerology, sound, color and geometry. 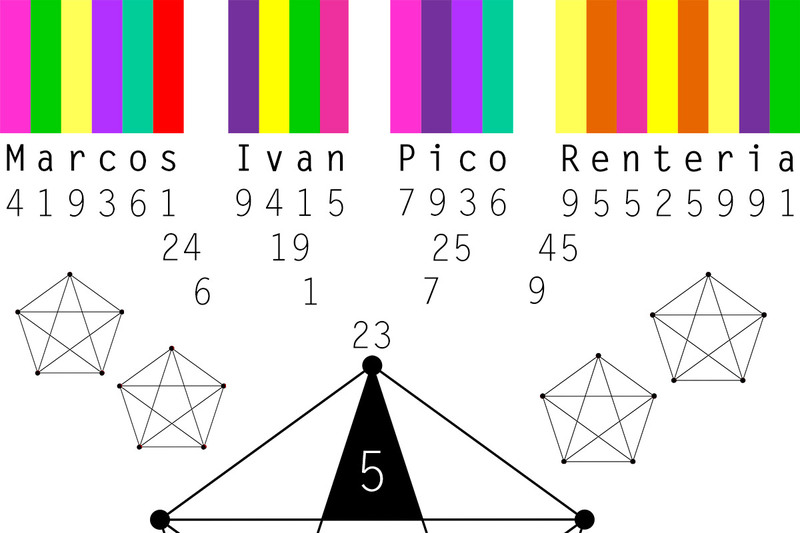 The central idea was to take the names of my models, explicate the numerology for their names and then translate the characters of those names into equivalent colors and sounds and reform the findings into a media installation. A series of prints was created for each name, which you can see as you continue exploring the material for this project. Numerology, at its core, explores the very essence of the vibrational qualities of numbers. Sound and light are also vibrations with their own particular frequencies. I wanted to explore potential crossovers between these different modes of viewing the world and come up with a visual, audible and symbolic language to express them to viewers. I’m including the PDF document to the right that discusses the correlations between sound and color. (Not available for mobile viewers) It’s one of the many things I used as foundational research for this project and may be of interest to those who want a deeper understanding of the installation and my thinking in creating it. A composite video of the installation. 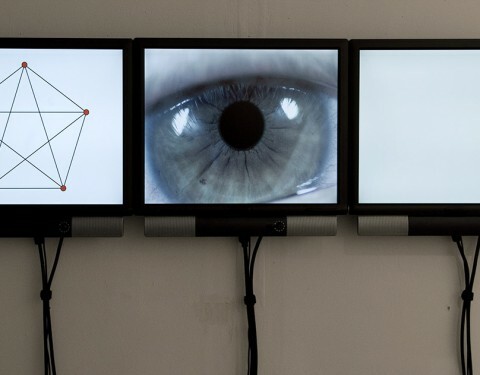 The central monitor zooms into and out of different models eyes. The two satellite monitors show the geometric symbols that represent the numerology numbers for the model’s name. 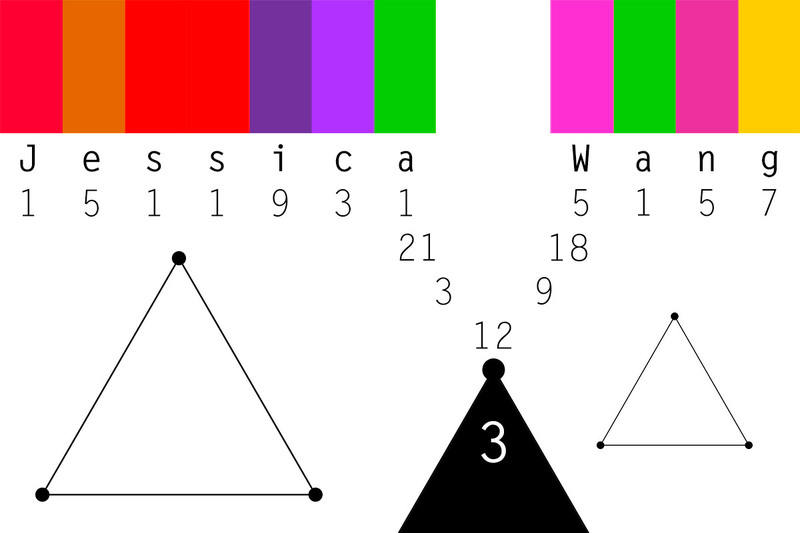 After zooming into each model’s eye, the corresponding colors and sounds that equate to each letter of the model’s name is played across all three monitors simultaneously. 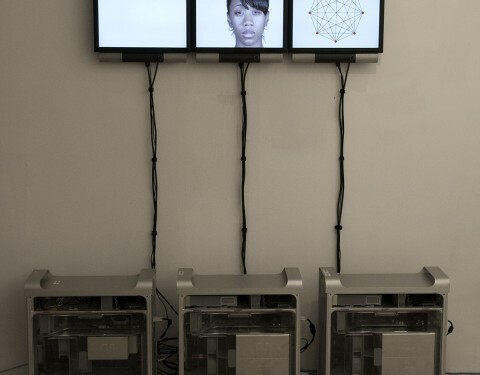 A MaxMSP patch was used to sync the three video streams. Each model in the installation video also had a print made like the one above. The print stems from the model’s name. 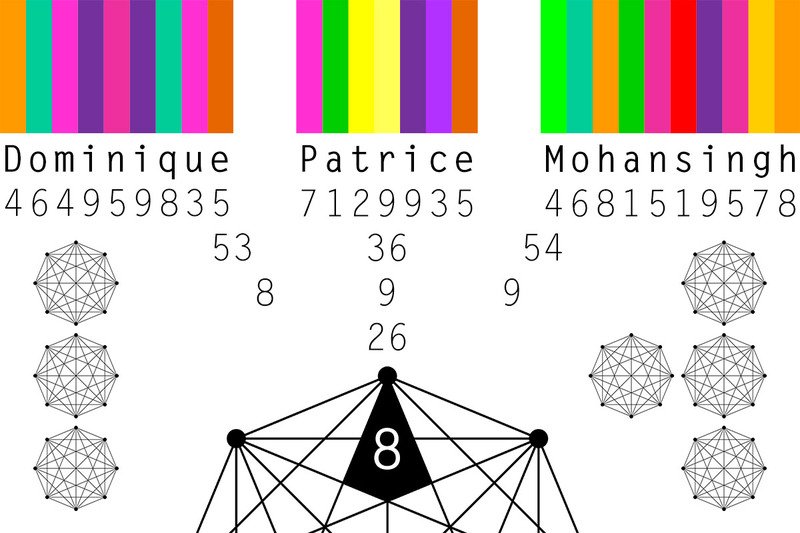 The numerology for each name is shown with their name number represented by the geometric shape near the bottom half of the image. The name number relates to how you express yourself in the many outer experiences of your life. 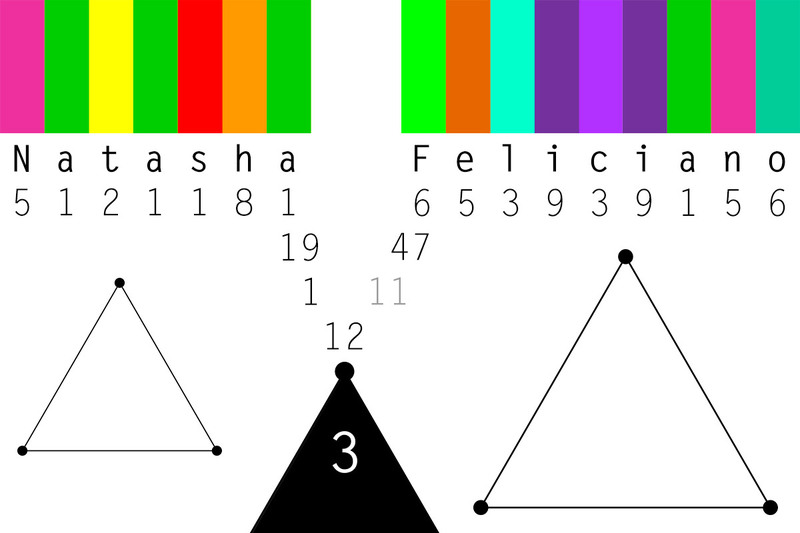 The top color bars represent the color frequencies that equate to each letter of the name. There is also an audio file embedded that plays the equivalent sound frequencies for each letter in the name. Below are the other models names and sounds.